Tiger Horses for sale have been used as base breeding stock for other varieties of old European Horses, such as the Knabstrup Horse and the Appaloosa. The Tiger Horse is a much older variety of horse. Tiger Horses were introduced into North America by Spanish colonists, and also became popular among Native American tribes, as horses spread across the new continent. The Nez Perce tribe, for instance, was renowned for its use of Tiger Horses, and managed to breed very quick horses, which aided in the famous Nez Perce escape of 1877, where the tribe fought a running battle to the Canadian border after refusing to be confined to a government reservation. Modern Tiger Horses have become popular once again, and efforts are being made to reestablish a full-fledged Tiger Horse breed in North America as well as Spain. As this unusual horse has been widely bred with other horses, to create entirely new breeds of horses, the Tiger Horse breed has been diluted, although many true Tiger Horses remain. Tiger Horses are exceptionally fast and nimble, and North American Tiger Horses are particularly well-adapted to rough terrain. Many Tiger Horses are still in the possession of Native American tribes who have maintained their breed ever since first gaining access to horses. The Tiger Horse also has a very smooth gait, making it an excellent horse for trail riding. 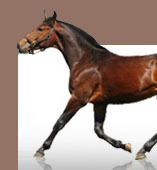 The Tiger Horse also has sport capabilities, as well, if you are looking for a sport horse. If you’re looking for a venerable horse with a unique and colorful past, consider a Tiger Horse. Finding Tiger Horses for sale is a fairly simple task, and there are many vividly colored Tiger Horses for sale. Finding the Tiger Horse for sale that is right for you is a much more challenging task. However, if you are a horse lover, and take the time to get to know the Tiger Horse for sale that you meet, you will soon be spending time with your very own Tiger Horse.